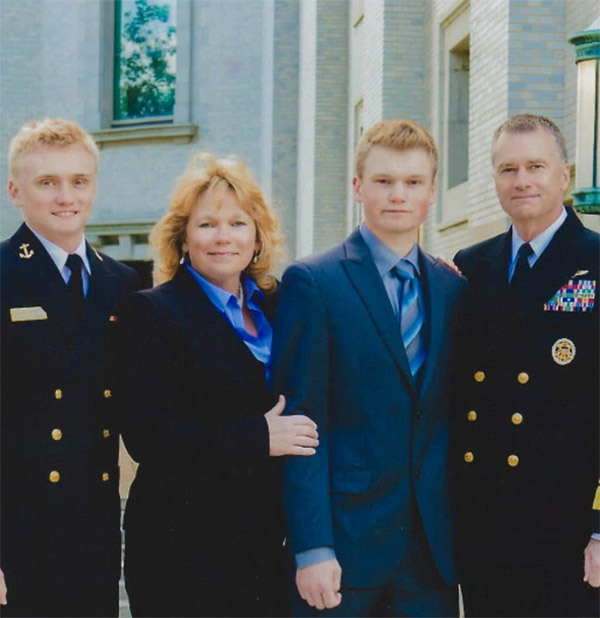 After losing his son to opioid addiction, Admiral James Winnefeld is dedicated to educating the public on the dangers of opioids — and that addiction is a disease, not a moral shortcoming. Admiral James Winnefeld and his wife, Mary, know firsthand the pain and sorrow of America’s soaring opioid epidemic, which claimed nearly 49,000 lives last year. 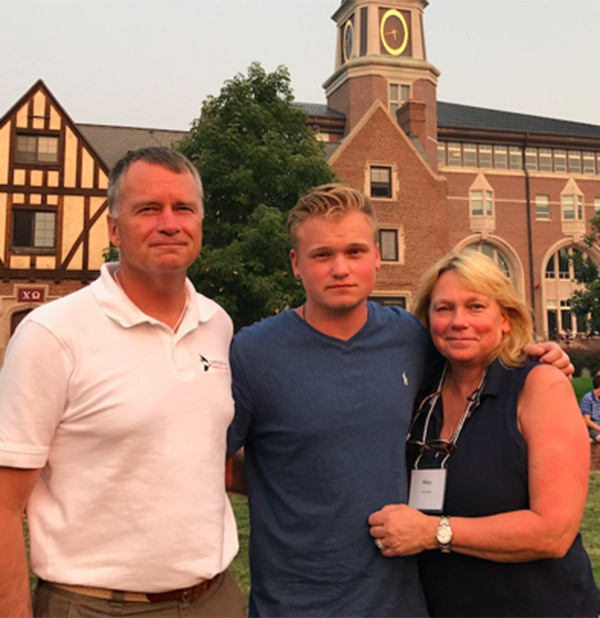 One of those was their son Jonathan, who died from a drug overdose during his first few days at the University of Denver in September 2017. 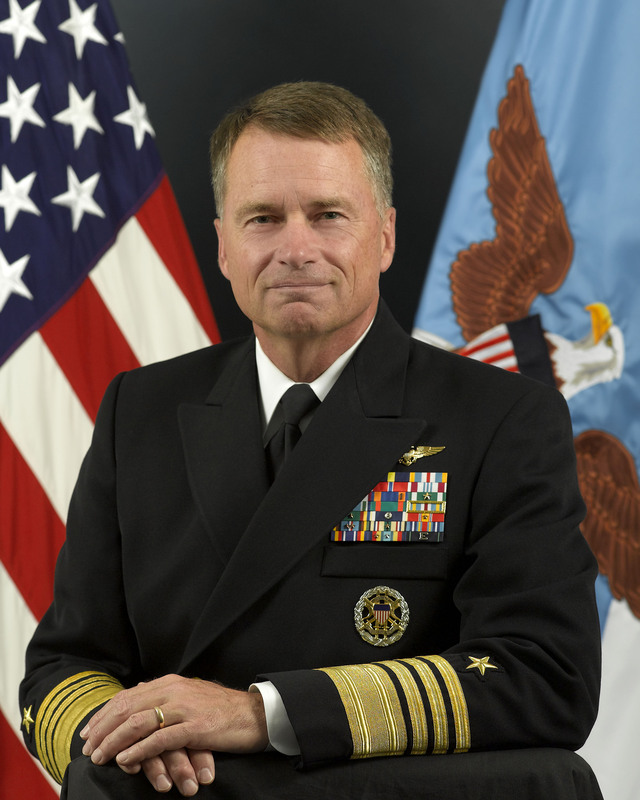 Admiral Winnefeld soon resigned his post as vice chairman of the Joint Chiefs of Staff and joined his wife in forming Stop the Addiction Fatality Epidemic, or S.A.F.E. The organization aims to prevent opioid abuse through a six-part strategy, which includes research into prevention measures, public campaigns about the power of opioids, and support for treatment and recovery. As the retired four-star admiral says in this interview with Catalyst Editor William McKenzie, the United States loses as many people to overdoses, most of which are related to opioid abuse, as we’ve lost in combat from the start of the Vietnam War to today. Let us start with your son’s loss. As a family how did you all deal with this? Unfortunately, a stigma still is attached to people who struggle with addiction. Dealing with a loss is very difficult because no matter how hard you try, you wake up in the morning with this constant background noise of sadness. You’ve lost God’s greatest gift to humanity and that is one of your sons or daughters. This is something that is almost impossible to deal with. One of the best ways is to try to prevent other families from experiencing the same thing. We have thrown ourselves into our non-profit that is designed to really take this epidemic on full force and prevent other families from going through the same grief that we’ve experienced. This is something that is almost impossible to deal with. One of the best ways is to try to prevent other families from experiencing the same thing. What are some of the pathways to addiction? We see three different pathways, particularly for opioids. The first is over-prescription for a medical or dental procedure or for an injury. The second is self-medication for a mental challenge, whether what's anxiety, depression, or another issue. The third is the party pathway. The scary thing now is the introduction of fentanyl into this equation. You don’t have to be addicted to die from a fentanyl overdose. You can die on your first try because it’s now finding its way into cocaine, methamphetamines, and even into marijuana. If you get too much of it, it’ll kill you. And is it the case that minor triggers can renew the desire to use opioids, even if you are in recovery? That is correct. Scientists have shown that merely showing images of drug paraphernalia to a substance-dependent person in recovery will trigger that flow of dopamine. That's what happened to our son. Scientists have shown that merely showing images of drug paraphernalia to a substance-dependent person in recovery will trigger that flow of dopamine. That's what happened to our son. He was fully in recovery doing extremely well after 15 months. But he walked by somebody at night in Denver, and they offered him the drug. He took it. It was just so very hard to resist. We advocate for medication-assisted treatment for people in recovery, which allows them to resist those urges while they also receive the counseling and other support they need to succeed. The opioid crisis affects every strata of our population, but it has had a particularly bad effect on struggling communities. What impact is this having on families who are struggling to stay in the middle class or get there? You’re exactly right. This drug does not respect whether you are black or white, young or old, male or female, rich or poor, Democrat or Republican. It’ll just go after you. But it has had a disproportional impact on our middle and lower classes. It’s had a very tough impact in both rural and urban communities, and particularly those communities that are struggling economically. This drug does not respect whether you are black or white, young or old, male or female, rich or poor, Democrat or Republican. It’ll just go after you. But it has a disproportional impact on our middle and lower classes. There is a snowball effect. When a community loses the backbone of its economic vitality, like having a factory close, people fall out of work and can use drugs to ease the stress. They can then become dependent upon those medications and give them to their friends who may be in the same situation. That is why we call it an epidemic – it spreads like a flame and can easily put a community into a downward spiral similar to addiction itself. Some communities have been nearly wiped out, and it’s very hard to recover. What impact do you see on the workforce in the places that you visit, particularly in struggling communities? Some very good studies show that a significant portion of males who are no longer in the workforce are misusing prescription opioids. In fact, lost productivity is a significant portion of the $500 billion impact that the administration estimates this epidemic is costing. People are simply not able or willing to work because they have become dependent on opioids. What does the evidence say about what works best in curtailing opioid use? This is about prevention, keeping people from becoming dependent upon these dangerous substances. It starts with education in middle schools and high schools. When we visit these schools, we try to do three things. First, we talk about Jonathan and let these smart young people see their own lives through his eyes. Second, we describe what is happening physically in their brains so they can make their own wise choices. And then we try to expose them to somebody who is actually in recovery, who can talk credibly about what is was like to fall into addiction and to try to escape it. Rather than scolding them, this approach seems to resonate with young audiences. The second part involves getting the prescription medicine piece under control. This means not only forcing the pharmaceutical companies who produce these drugs, along with their distribution networks, to act more responsibly, but also getting doctors and dentists to be more responsible in prescribing these drugs. And, of course, we need to make sure the consumers of these drugs are fully aware of the hazards of using them, the need to dispose of them responsibly when they are no longer needed, and the absolute need to not provide them to someone else. It is a seemingly surmountable problem, but we are just not making as much progress here as we need to. How do you get doctors and dentists to prescribe fewer of these medications? Does this mean getting them access to a database that shows a patient already has been prescribed some of these drugs? One obvious way is to educate doctors and dentists on the hazards of opioid drugs. They were taught in medical or dental school that these are perfectly safe, and that patients have a right to be free from pain. So it’s no surprise that opioids are widely prescribed for even minor pain. We need to change this so doctors and dentists naturally prescribe fewer of these drugs. But there are also policy choices available. In some states, legislation limits how much a doctor or dentist can prescribe at one time. Prescription drug monitoring programs, which provide visibility of a patient’s prescription history to doctors and dentists, can help prevent people from abusing the system and obtaining more drugs. Pain management programs encourage doctors and dentists to use other methods of treating pain. And there are consumer education methods, like putting signs up in hospitals. These approaches show patients who don’t necessarily know the hazards of these drugs that they are very dangerous. But even if we were able to solve the prescription drug problem overnight, we might actually create a worse problem. People who are already addicted would turn to heroin and other drugs, which in fact they already are doing. And with the introduction of fentanyl into the illicit drug system, that transition is more dangerous than ever. So we need to provide better and more widely available treatment capability to support people who are trying to eliminate their dependence on these drugs. But even if we were able to solve the prescription drug problem overnight, we might actually create a worse problem. People who are already addicted would turn to heroin and other drugs, which in fact they already are doing. What is your position on Naloxone, which some places are using to help people who have suffered an overdose? Naloxone is used to bring somebody out of an opioid overdose. It is sold under the brand name Narcan and can be administered like a nasal spray. Naloxone almost immediately strips the brain’s opioid receptors of all opioid molecules. It’s almost miraculous how someone can be brought out of an opioid overdose using this drug. Many states are making this life-saving drug more available. If your state has issued a blanket prescription to an entire population, you can purchase it over the counter. Other states have not gotten that far. First responders are carrying this medicine, too. It’s important in stemming the flow of fatal overdoses but it does not solve the addiction problem. Drugs used for actual medication-assisted treatment, such as methadone, naltrexone, or buprenorphine, each of which acts somewhat differently, help someone control their urges. This gives them the chance to recover their lives and escape this terrible addiction. One of the misconceptions is that all medication-assisted treatment does is substitute one drug for another. On the surface that may be somewhat true, but it’s the best way to get someone into full-blown recovery. The evidence is starting to point to the fact that unless you incorporate these medications into someone's treatment regimen, the odds are very low that they’ll recover. And, as someone who lost a loved one, I will tell you that I would gladly have substituted one of these treatments for the drug that killed my son. One of the misconceptions is that all medication-assisted treatment does is substitute one drug for another. On the surface that may be somewhat true, but it’s the best way to get someone into full-blown recovery. How do states expand access to treatment for families who deal with this challenge? You have written how you all had to dig into your own pockets to afford care for your son. You are very correct. There are simply not enough treatment resources to take care of the people who have now fallen into this disease. Even if there were, we aren’t doing a very good job of making it affordable. The more we are able to treat this like a disease rather than a moral failing, and the more we urge, if not force, the insurance world into paying for this kind of treatment, the more our capacity will grow to handle the problem. There are a number of levels of treatment, but only about one in five people who are substance dependent are receiving the treatment they need. The more we are able to treat this like a disease rather than a moral failing, and the more we urge, if not force, the insurance world into paying for this kind of treatment, the more our capacity will grow to handle the problem. And you have said 30 days of treatment is not enough in some cases. It really isn’t. I tell people that if you put someone in inpatient treatment, the only thing you get out of that is 30 days of sleep, knowing your loved one is in a safe place. After 30 days, the brain simply has not recovered enough to go back out into the real world. The chances of a full recovery are very low if you only have 30 days of treatment. President Trump has created a commission to focus on the crisis and drug addiction. And Congress has passed a 21st Century Cures Act. Are we headed in the right direction? The vector is in the right direction but nowhere near strong enough. The first thing I would do is compliment (former New Jersey) Governor (Chris) Christie on his work leading the mission that the president put together. This is the most important work Governor Christie will do in his public life. The challenge is that the commission's recommendations are not being implemented nearly fast enough, if at all. We know what we need to do at the federal level, but we’re not doing enough of it. I compliment the president for standing up and speaking about this almost a year ago, but we need to keep the momentum going. We need to firmly push the resources and policy that needs to be done to help the states and communities take this problem on directly. As of the date of this interview, Congress is trying to pass legislation that will help get this crisis under control, but we will need even more than what is being considered. This does involve money for efforts like helping states expand Medicaid. How do you make the case in an era of a high federal debt and budget pressures that this is money we need to spend? It's fairly simple. We lose about the same number of people in one year to overdoses in general, two-thirds of which are opioid overdoses, as we’ve lost in combat from the beginning of the Vietnam War to the present day. Along with that fact, this crisis is costing our economy $500 billion a year. To me, these realities rise to the level of a national emergency. We lose about the same number of people in one year to overdoses in general, two-thirds of which are opioid overdoses, as we’ve lost in combat from the beginning of the Vietnam War to the present day. We're spending about $25 billion a year fighting in Afghanistan. And it’s estimated that one American civilian per year is killed by terrorists. So here I am, a military man, saying that if you gave me $25 billion to take on the opioid epidemic, we could do some pretty powerful things. You refer to this as problem being as complex as any you’ve faced. Where do you see hope? I see hope in a rising recognition on the part of the American public that there is an epidemic. And there is a gradual, slow recognition on the average citizen's part of the complexity of the epidemic, and that this is a disease and not a moral failing. If we can get the American people behind this, the rest of the system will follow. As you know, politicians respond to public outcry. If we can get the American public to realize that this is impacting almost every family, I have hope that we might dedicate the resources required to reverse this terrible epidemic. If we can get the American public to realize that this is impacting almost every family, I have hope that we might dedicate the resources required to reverse this terrible epidemic. This is a solvable, man-made problem. We found with efforts to curb tobacco use and stop drunk driving that it takes time and perseverance. It takes people willing to stand up and fight the stigma. If we don’t do that, we’re never going to get this thing reversed.